I’ve cleaned my closet, now what? Get rid of unwanted items, do something new & be rewarded for it! Work both ways: you can donate any unwanted items even books and cutlery (and gain some karma points!) and you can find shirts and skirts at bargain prices. 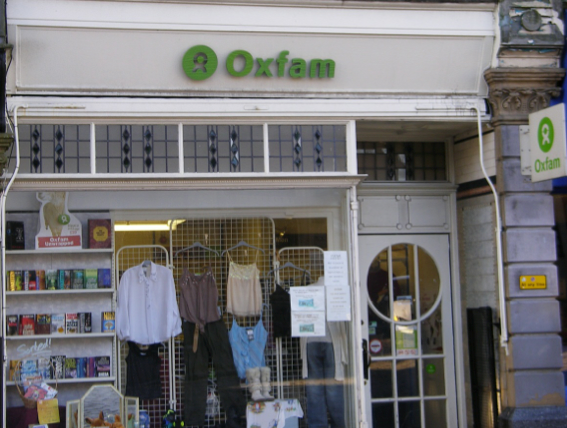 If you just arrived in UK and it all sounds Greek to you, Oxfam Online Shop, British Heart Foundation and Scope are probably some easy signs to look for when you are on the street. 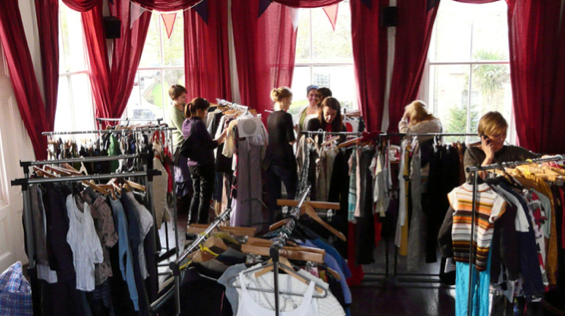 There are hundreds of charity shops out there – do your research! Again you can either choose to sell your own stuff or search for hidden treasures. 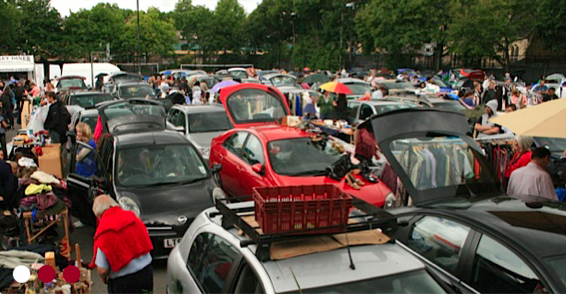 The biggest one is probably Battersea’s car-boot sale on Sundays, though there are a few around London. Remember to get there early enough as good items sell out quickly! H&M have launched a campaign where for every bag of unwanted items you drop in a box like the one below, they reward you with a £5 voucher off your next buy. Visit H&M’s webpage to find more information and a list of participating stores. One person’s garbage is another person’s treasure. These are the steps you have to follow to get in Mrs Bear’s: pack a bag with any unwanted items (up to 7) in good condition, clean and ironed. Give in your bag as you enter the party and pick up items –similar in price range to the ones you gave- on offer. Check the upcoming events. Find more posts by Afroditi. You may also want to check our post about Cashback Websites.